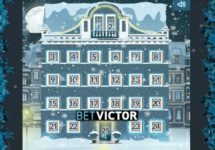 Casino Euro – New week, new daily deals! Enjoy more awesome offers in week three! 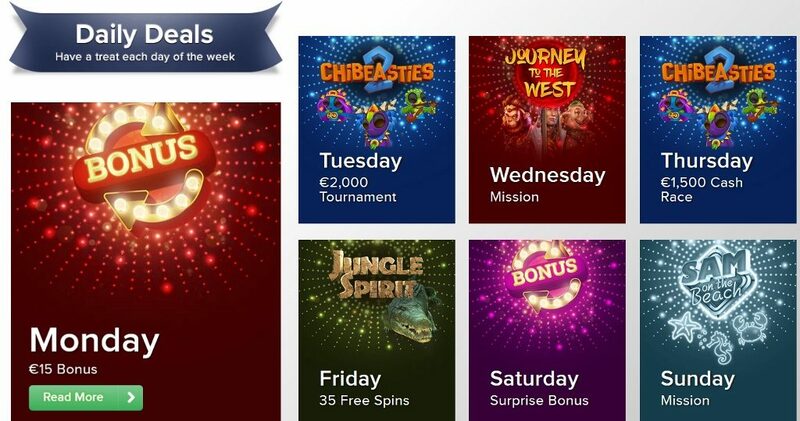 The “Daily Deals” promotion at Casino Euro is heading into its 3rd week and the offers are just getting bigger and better. Claim today a fantastic 100% reload bonus and use it to boost your balance and your chances to hit that monster win on your favorite games. Then return each day to take part in tournaments and races as well as claiming Free Spins and Surprise Bonuses, all the way to Sunday! Not yet on a mission at Casino Euro? Then sign-up now and enjoy their very generous 100% Welcome Bonus, up to €150! Make sure to OPT-IN first before depositing or starting your play. All bonuses, except the tournament prizes, are instantly credited the soon the conditions are met and are subject to standard wagering requirements. Free Spins and Bonuses have a 40x wagering requirement within five days. Betsson Bonus Terms and Conditions apply, always read them carefully.